We present a test of the crime-deterrent effect of police-monitored street-viewing CCTV cameras using viewsheds of areas that were visible by cameras via direct line-of-sight and that were digitized using easily replicable methods, Google Maps, and standard GIS tools. 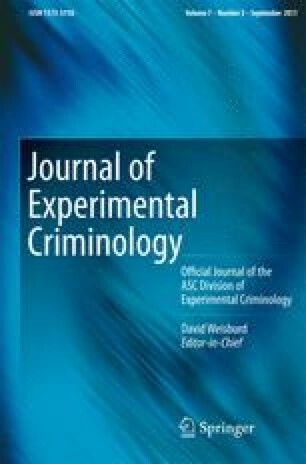 A quasi-experimental research design, using camera installation sites and randomly selected control sites, assessed the impact of CCTV on the crimes of shootings, auto thefts, and thefts from autos in Newark, NJ, for 13 months before and after camera installation dates. Strategically-placed cameras were not any different from randomly-placed cameras at deterring crime within their viewsheds; there were statistically significant reductions in auto thefts within viewsheds after camera installations; there were significant improvements to location quotient values for shootings and auto thefts after camera installations. There was no significant displacement and there was a small diffusion of benefits, which was greater for auto thefts than shootings. The system of cameras in Newark is not as efficient as it could be at deterring certain street crimes; some camera locations are significantly more effective than others. Results of a system-wide evaluation of CCTV cameras should not be the only basis for endorsing or contesting the use of CCTV cameras for crime control or prevention within a city. Future research should test whether the effectiveness of CCTV cameras are dependent upon the micro-level attributes of environments within which they are installed. This study was funded in part by the Rutgers Center on Public Security. Special thanks to Eric Piza and the Newark Police Department for in-kind support and for providing access to data and other police resources.